Ain’t that a kick in the pants. This month is flying by. I’ve gotten about 1/2 of my Christmas shopping done, though, so at least I’m not in full-on panic mode. Don’t worry, give it a week (during which I will do zero additional work on that Christmas list) and then it should set in nice and heavy. And since technically I still have 7 more days of fall left, I’ve got a nice little autumnal recipe for you today. Squeezing right in under that fall recipe deadline. Not unlike that little Christmas deadline. I’m sensing a pattern. 2. Cut ends off butternut squash and then slice in half, lengthwise. Scoop out seeds and then cut in half across, separating the bulbous half from the seedless half. Peel and cube seedless half. 3. Place squash on a baking sheet, sprayed with cooking spray, spray again with cooking spray, sprinkle with salt and pepper to taste and garlic powder. Roast for 50-55 minutes until large pieces are fork tender. 4. While squash roasts, prepare couscous according to package directions (I cooked mine in chicken broth for more flavor) and set aside. 5. 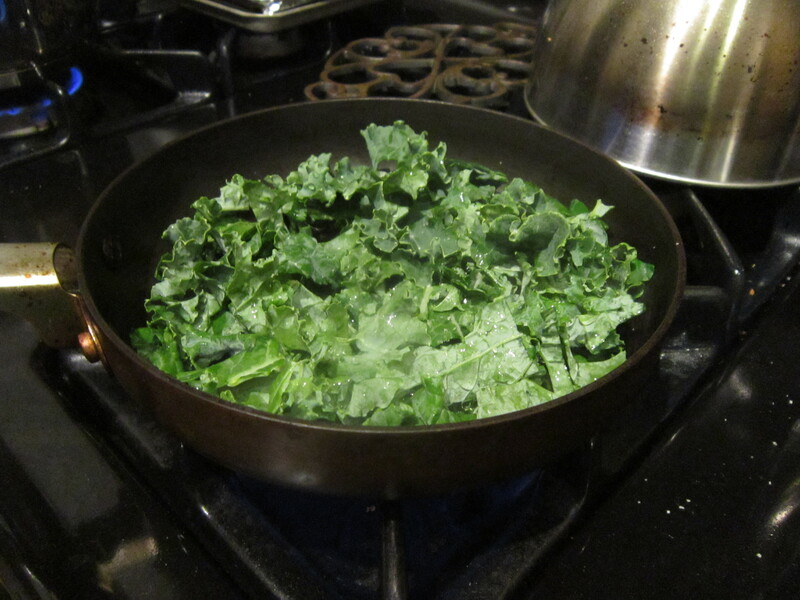 Place kale in a skillet with a few tablespoons of water and place over high heat. Steam 4-5 minutes until slightly wilted and set aside. 6. 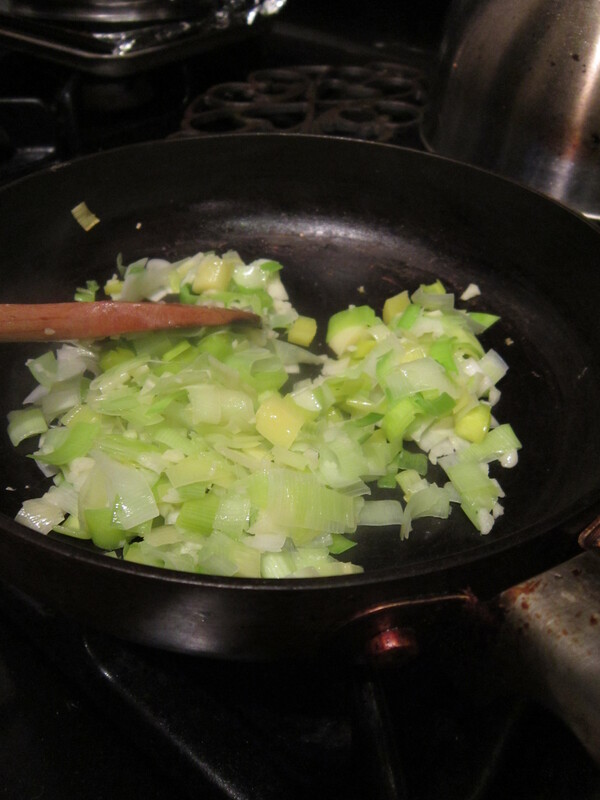 Spray skillet with cooking spray and cook leeks over medium heat until they are slightly tender. Add garlic, salt, pepper and red pepper flakes and cook an additional 1-2 minutes and remove from heat. 7. Add kale, couscous and sour cream (if using) to the skillet and toss to combine. 8. 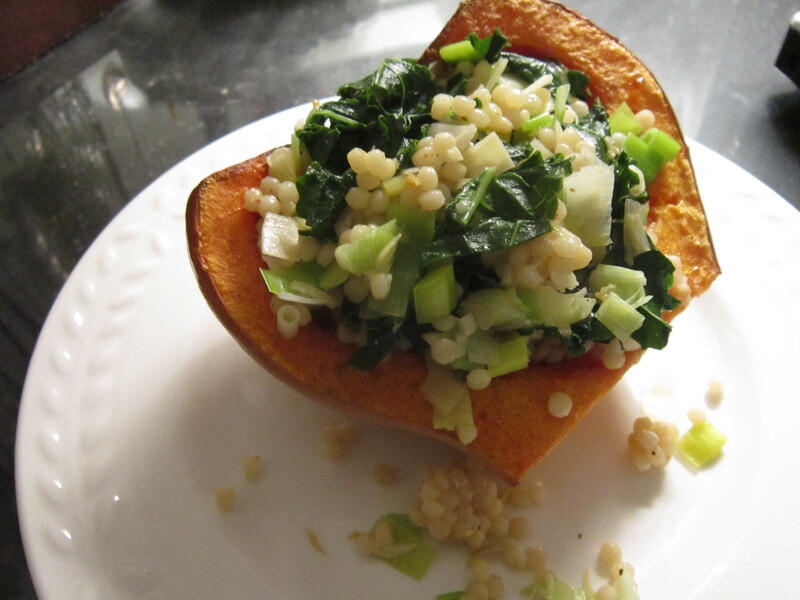 Evenly divide couscous among squash “bowls” and serve. Since I’m sure you’ve got about a million cookie exchanges to attend and big family dinners to eat, put this light little dinner idea in your back pocket for when you need to up those vitamin stores in the ol’ body. Not that there’s anything wrong with eating twelve sugar cookies in a row. So many cookies! It’s so good and also quite terrifying. I don’t eat couscous often enough. This looks great! I love the combo of squash and kale. This looks really good and so pretty too! I love anything with butternut squash. You just can’t go wrong with those things. Hope you had a very, very happy Christmas and wishing you a beautiful New Year! !